The Central Massachusetts Railroad was chartered in 1869 to build from Boston to Northampton through mostly rural communities in the center of the state. The railroad would compete for through traffic with the parallel Boston & Albany Railroad and Fitchburg Railroad which already served most larger towns and industries west of Boston. Construction began in 1871 and 16 years later, after reorganization and lease to the Boston & Maine (B&M) Railroad, the line was finally completed to Northampton in 1887. The B&M used the Central Massachusetts for through traffic to the South and West until it acquired the Fitchburg in 1900. B&M's long distance trains were rerouted onto the Fitchburg mainline and the Central Massachusetts Division would be relegated to branch line status. Construction of the Wachusett Reservoir, begun in 1897, would soon flood several miles of the Central Massachusetts around Boyleston. By agreement with the B&M, the Metropolitan Water & Sewerage Board constructed four miles of new track between the Central Massachusetts at West Berlin and the B&M's Worcester & Nashua (W&N) Railroad at Clinton Junction. The W&N ran southwest from Clinton to Oakdale where it rejoined the Central Massachusetts, completing an 8.87-mile bypass to the north of the reservoir. 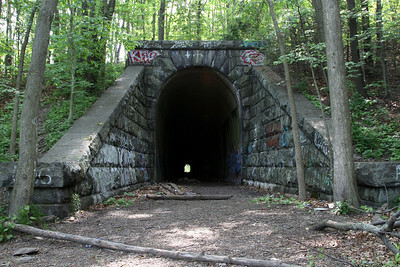 The new track, opened in June 1903, included a 1110-foot tunnel and 917-foot-long (133-foot-high) viaduct just south of Clinton by the Wachusett Dam. 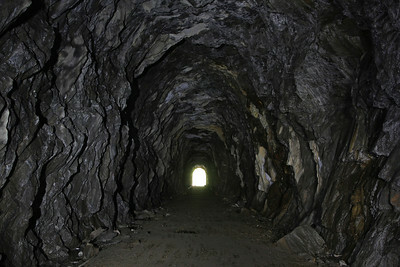 The tunnel's westernmost 228 feet is concrete lined while the remainder is unlined bare rock with portals of large cut granite at both ends. 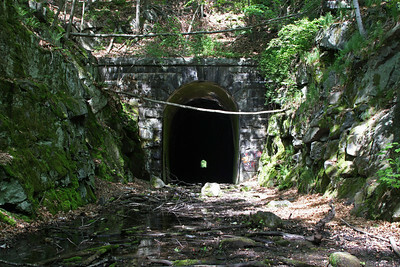 Abandonment of the Central Massachusetts began in the 1930s, with passenger service remaining on the Boston-Clinton segment until May 1958. 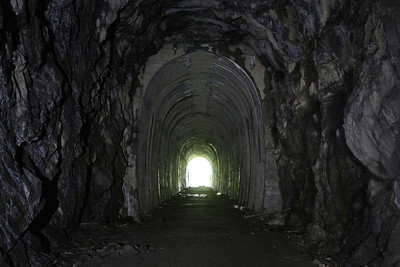 The line was abandoned west of Berlin by the next year, including the Clinton Tunnel. 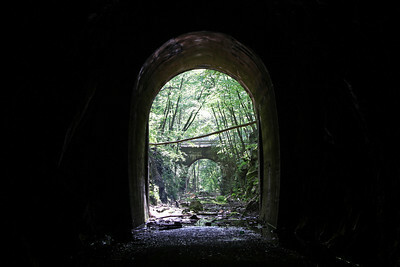 The tunnel remains in good condition with lining and portals intact, while the adjacent viaduct was removed in July 1975. 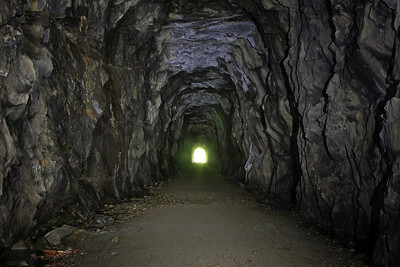 Nearly all of the 105 mile railroad was abandoned by 1980 and today several sections have been converted for recreational use as the Mass Central Rail-Trail.